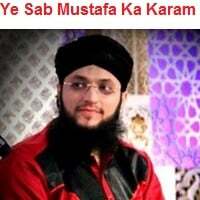 Hafiz Tahir Qadri Hafiz Tahir Qadri is among those famous naat khuawan in Pakistan who got so much fame at a very early age. Tahir Qadri has recited many popular naats in which Allahu Pukaray Ja, Rehmat- e-Do Jahan, Taibah Ki Aarzu, Milad Ka Mausam Aya Hai and many more are very famous. He has a very beautiful voice.